Pawprint Designz: Two New Layouts!!! These two layouts were made by a kit from Tamsin McAtee Studios PTU kit called, 'Down in the hollow'. 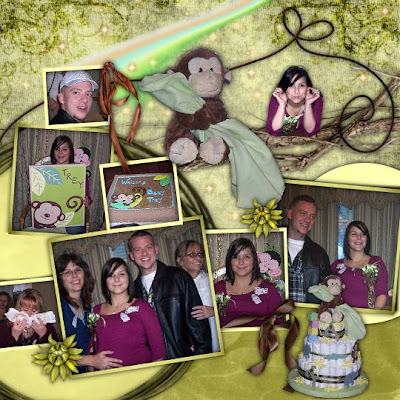 Which can be found at Scrappin' Bratz.Pictures are of my youngest daughters Baby Shower, who is due anyday now!! 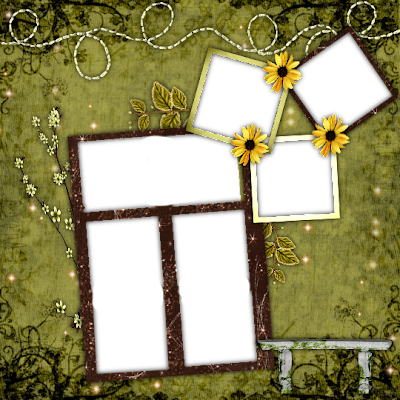 Don't forget to grab this kit, it has many elements and can be used for a varitey of projects! and just below the layouts is a freebie QP!! 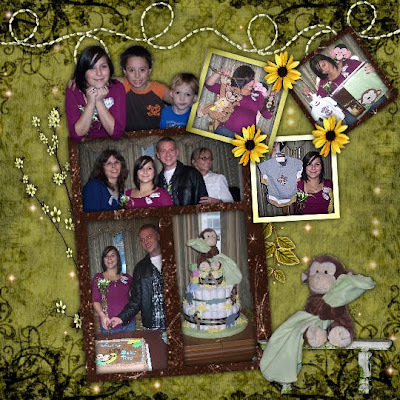 Sorry the Monkey is part of the diaper cake, not the kit. and for your freebie QP!! Click herefor download.